Extremely large amounts of knowledge are available on the World Wide Web. 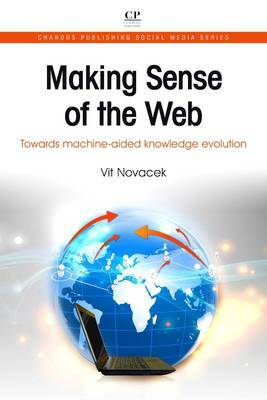 Making Sense of the Web focuses on making better use of this knowledge, including how the web can be used for machine-aided discovery of new knowledge. The first part of the book reviews various historical approaches to defining and studying knowledge and describing how knowledge can be represented online. The second part presents current approaches to efficient exploitation of knowledge online, and focuses on the Semantic Web, linked open data and social network analysis. The third part of the book introduces possible approaches to semi-automated discovery of new knowledge based on current web content, and introduces a novel framework for machine-aided knowledge evolution. The fifth part describes selected application areas that may benefit from the principles and technologies described. Extensive practical examples and links to existing tools and frameworks are provided to help practitioners implement advanced web-based knowledge discovery applications quickly.